AMMONNEWS - As discussions between Japan and Jordan over a multimillion loan are under way, Tokyo remains committed to supporting Jordan, but the Kingdom needs to start relying on itself and proceed with fiscal reforms as it cannot rely on foreign aid forever, according to a top official at the Japan International Cooperation Agency (JICA). While Japan is aware of the current difficult fiscal and economic conditions in Jordan, proceeding with fiscal reforms is “key” for the country’s sustainable development, Masanori Yoshikawa, director of Middle East and Europe Department at JICA, said in an interview with The Jordan Times at JICA’s headquarters in Tokyo. According to the Japanese official, discussions are under way between Jordan and Japan over a $200 million to $300 million loan to support the Kingdom’s state budget. “No decision has been made yet about the volume of the loan or when it will be delivered. Our discussions are still ongoing in this regard,” he stated. On the draft income tax bill, the Japanese official said it was an “important reform”, stressing that Jordan cannot rely on the international community and assistance “forever”. The total public debt at the end of May amounted to JD27.751 billion, constituting 95.8 per cent of the estimated GDP, compared with JD27.269 billion, constituting 95.9 per cent of GDP, in the same period of 2017. Jordan’s economy grew by only 1.9 per cent during the first quarter of 2018, which economists said was not enough to address the high unemployment, which exceeded 18 per cent according to recent figures. Nonetheless, Yoshikawa stressed that Japan will continue supporting Jordan, urging the international community to take the current difficult conditions into account as the Syrian refugees issue is not over and regional challenges remain. “We do understand the current situation and will take it into account. Jordan needs to proceed with fiscal reforms and, at the same time, the international community needs to understand the current situation,” the official said. According to JICA figures, Japan extended around 79 billion Japanese yen ($1=111.26 yen) to Jordan in loans from 2008-2017. The volume of grants during this period reached 14 billion yen, while technical assistance reached around 9 billion yen. 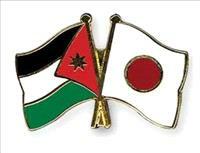 In interviews in Tokyo, Japanese foreign ministry officials underscored the key ties between Jordan and Japan in various areas, pledging continued support for the Kingdom and voicing appreciation for hosting refugees and making constant peace efforts in the Middle East. “Jordan is one of the few reliable and stable countries in the region that enjoy strategic relationship with Japan in various areas and it enjoys Japan’s support,” he told The Jordan Times. Japan’s aid to Jordan covers a wide range of areas, including support for Syrian refugees and host communities, state budget to reduce fiscal burdens, water and infrastructure projects and public schools, among others.